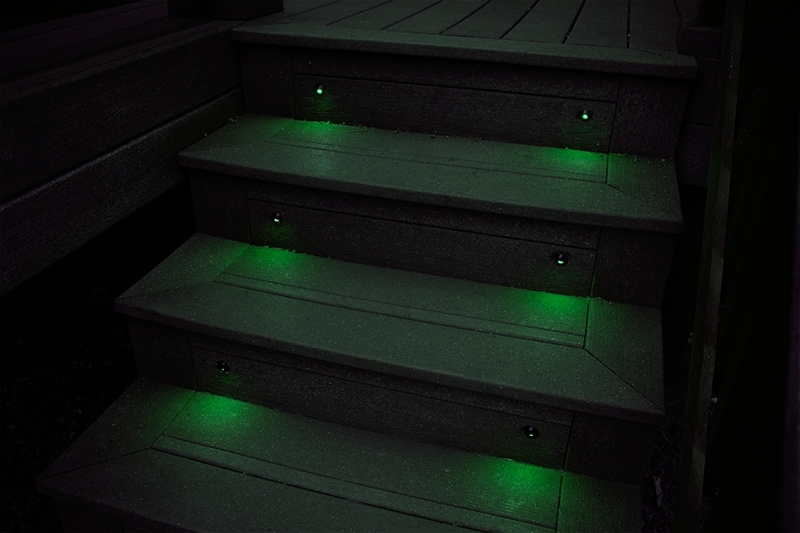 Green Illumination on Deck Steps. Blue Illumination on Deck Steps. 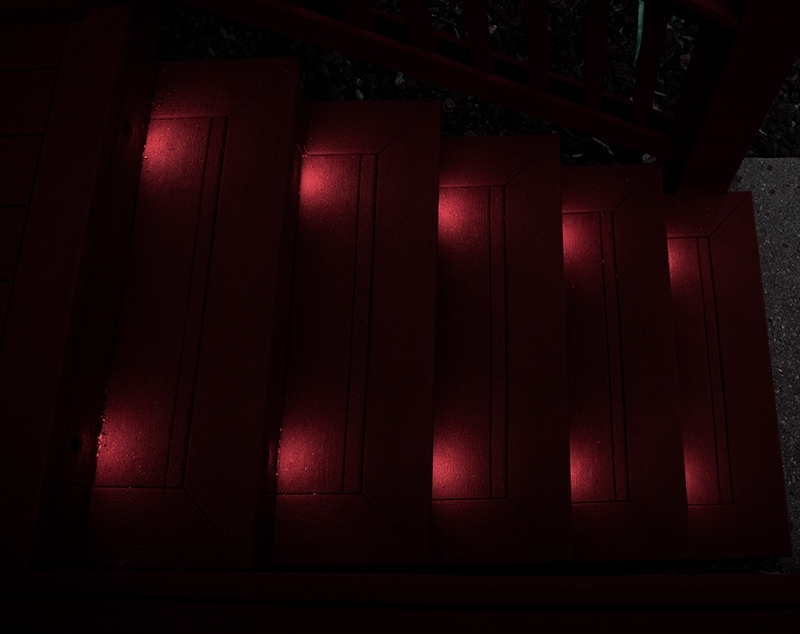 Red Illumination on Deck Steps. 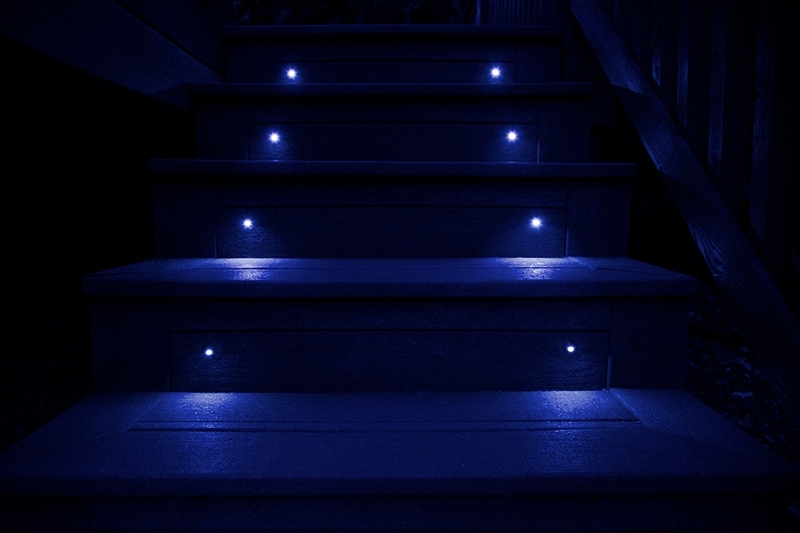 Color-changing LED step lights/riser lights are a great way to add useful safety lighting to your step or deck walkways. 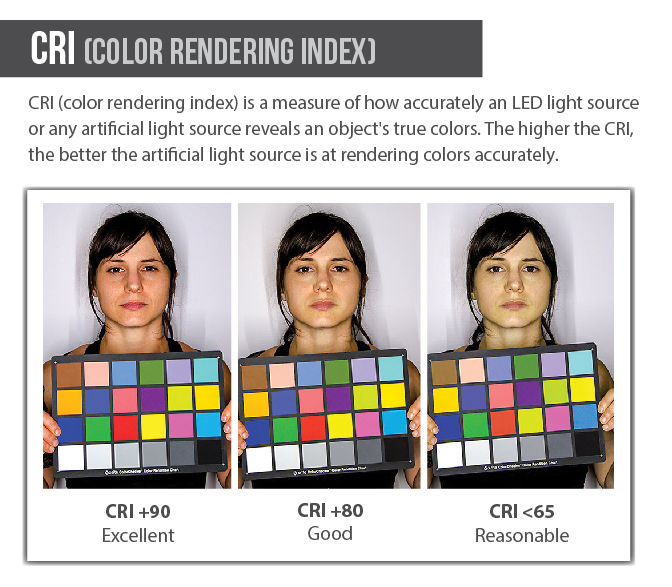 This RGB LED light can be used with an RGB controller (sold separately) for customizable color, mode, speed, and brightness. 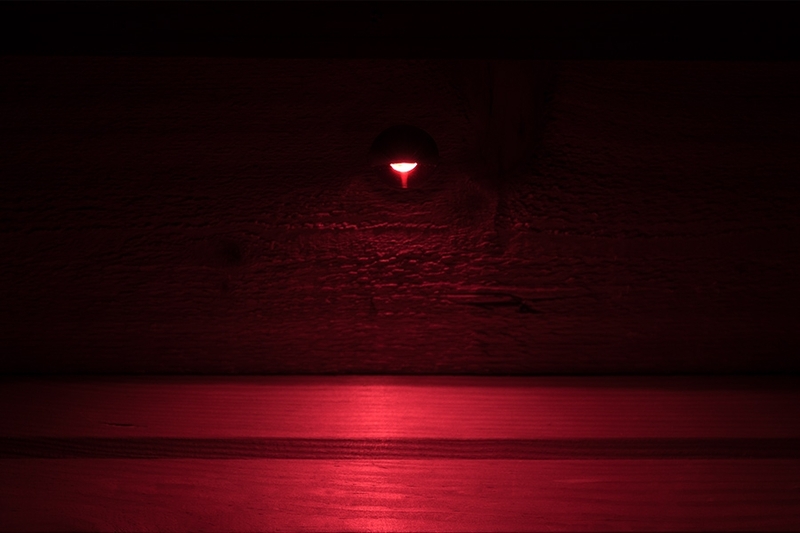 A hooded black aluminum housing directs a 150° beam of light where it's needed. 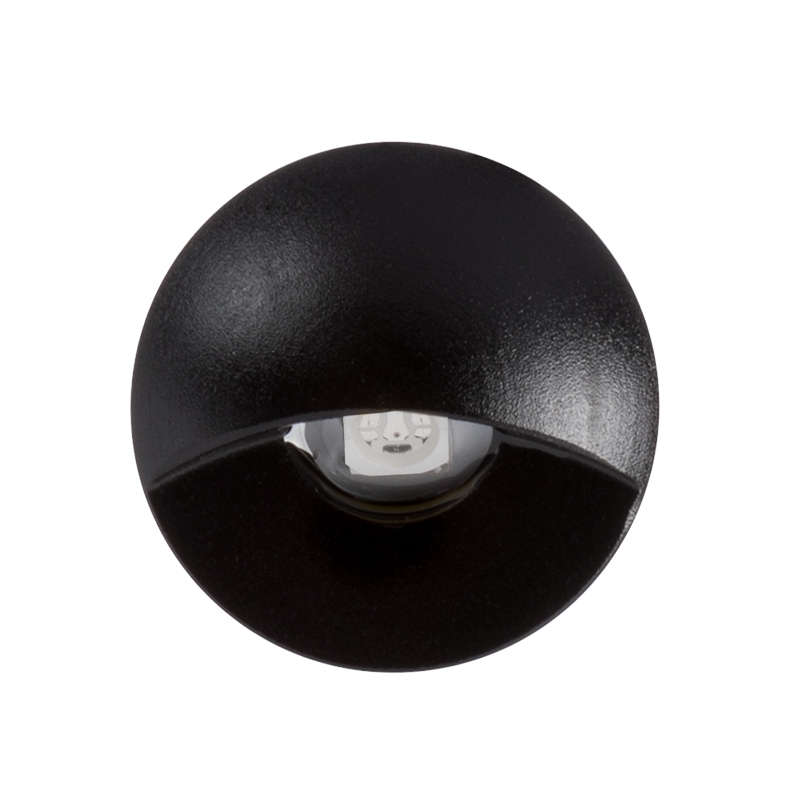 The LED deck light uses only 1 watt of power, operates on 12V AC/DC, and easily installs in a 5/8" round hole. 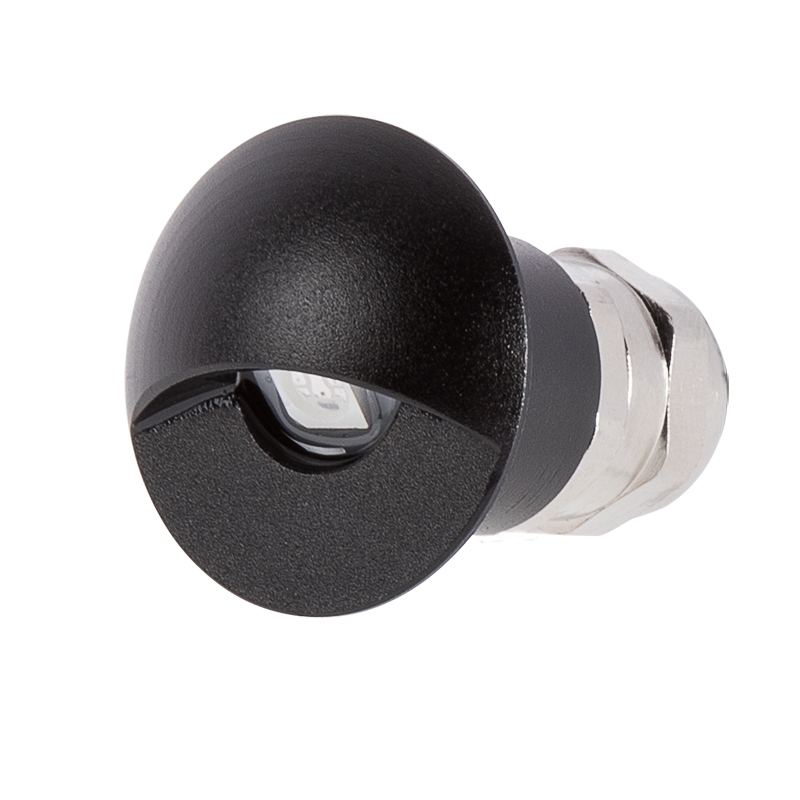 This waterproof indoor/outdoor light can also be used on patios or for deck accent lighting. Recessed lights that have an insulation contact (IC) label can come into contact with insulation in a wall or ceiling without creating a fire hazard. 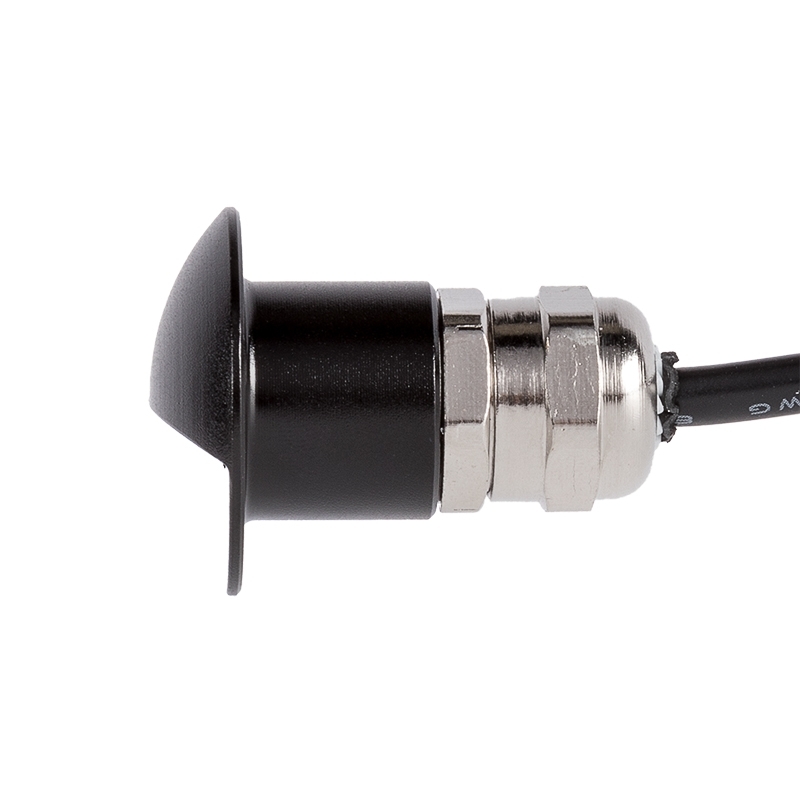 An IC-rated light's housing prevents the light from overheating and is designed to separate internal components from insulation or other flammable materials. Recessed lights that do not have an IC label must be installed at least three inches from insulation. I used them on some dark interior steps on my fifth wheel, they worked out perfect and look great! 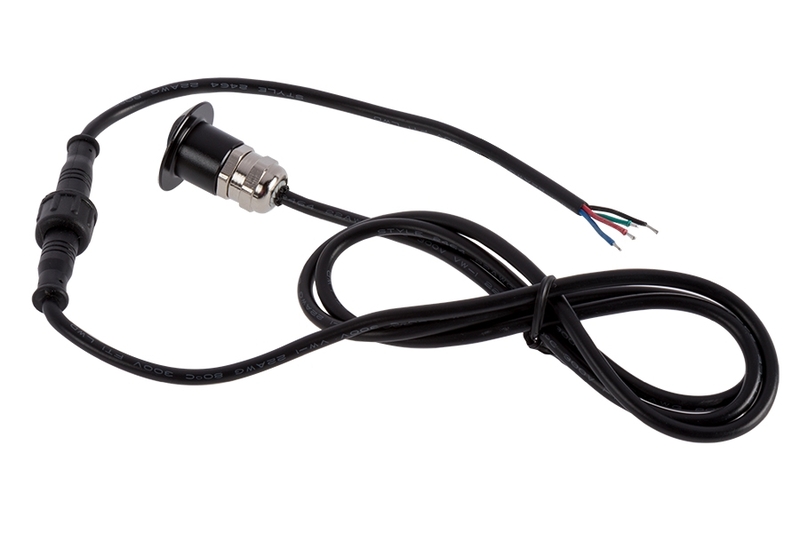 Outdoor RGB LED Strip Lights - Custom Length 12V LED Tape Light - Weatherproof - 63 Lumens/ft.